Welcome to Woodland Shores Rental Properties ! Emerald Coast by Owner is your premiere vacation rental service for these properties, and is proud to be! While you stay here, you can enjoy the balcony views, the short trip to the beach, the community pool, Big Kahuna's Water Park, paddle boarding, parasailing, deep sea fishing, boat tourism, fishing off shore, golfing, the possibilities are endless! If you're looking to relax this trip and just cool off, you're still in the right place! You can relax at your property, on the beach, or go to Edge of Paradise Day Spa. Here, they treat you like royalty and have shown some of the highest customer satisfaction in the area. Outside of activities, the food here is unbeatable. Destin is known for being a prime seafood location, and it definitely lives up to the expectations. A few excellent places to try would be Dewey Destin's Seafood & Restaurant, a seafood spot on the coast with great service and an amazing beachfront view. Another cool place to try is McGuire's Irish Pub, they've got great food, a cool scene, and some awesome drinks right on the coast! Call Emerald Coast by Owner today and we will help you find a great vacation rental in no time. 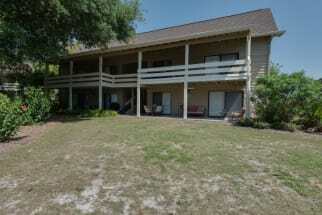 We have some of the best rentals at Woodland Shores. When you book with Emerald Coast by Owner, we make it easy for you to choose where, when, and what you want to do on your trip. Contact us with any questions!